Grandville Public Schools has been a premier public school district in West Michigan for more than a century. We serve students in preschool and Young Kindergarten through 12th grade. Grandville has seven neighborhood elementary schools, one middle school, and one main high school. Preschool classes are held in elementary buildings throughout the district. Pathways, an alternative high school, is located at the Y. If you can dream it, you can do it. Grandville graduates have the skills to be responsible, contributing citizens in a changing world. In a 2018 survey, 96 percent of Grandville parents said they believe our teaching styles match their child’s learning style fairly well to extremely well. Our teachers: They make Grandville special. They shape the lives of our students for the better, influencing them long after they've graduated. We offer courses for all levels. Beginning in Young Kindergarten, students receive art and music instruction each week from educators who specialize in the subject areas. For middle and high school students, we offer a range of award-winning fine arts programs as well. Grit drives our Division I athletes to be among the best in the state. Niche recently ranked Grandville High School's athletics program among the Top 20 in Michigan. 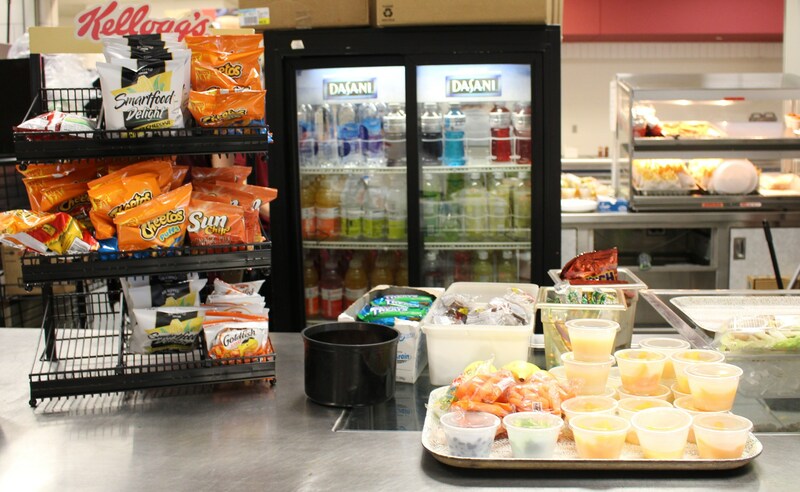 Fresh fruit, broccoli, baby carrots, and chocolate & white skim milk are offered daily. Classic Chef Salad - $2.20 - Fresh blend of iceberg & romaine lettuce w/Julienne style strips of low-fat ham & turkey, topped with a sprinkle of shredded cheddar cheese, and a slice of tomato. 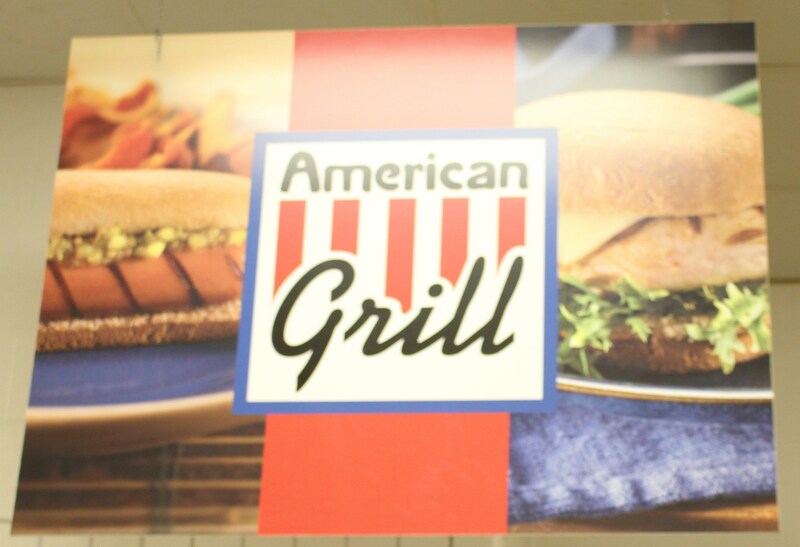 Served w/choice of fat-free ranch or French dressings. Chicken Caesar Salad - $2.60 - Grilled chicken strips on a bed of romaine & iceberg lettuce topped with shredded mozzarella cheese & red onion w/ a sprinkle of crunchy croutons. Caesar dressing on the side. Buffalo Chicken Salad - $2.60 - Spicy buffalo boneless chicken tops a bed of crisp iceberg and romaine lettuce garnished w/ cucumbers, tomatoes, cheese and croutons. Served w/ low-fat dressing. 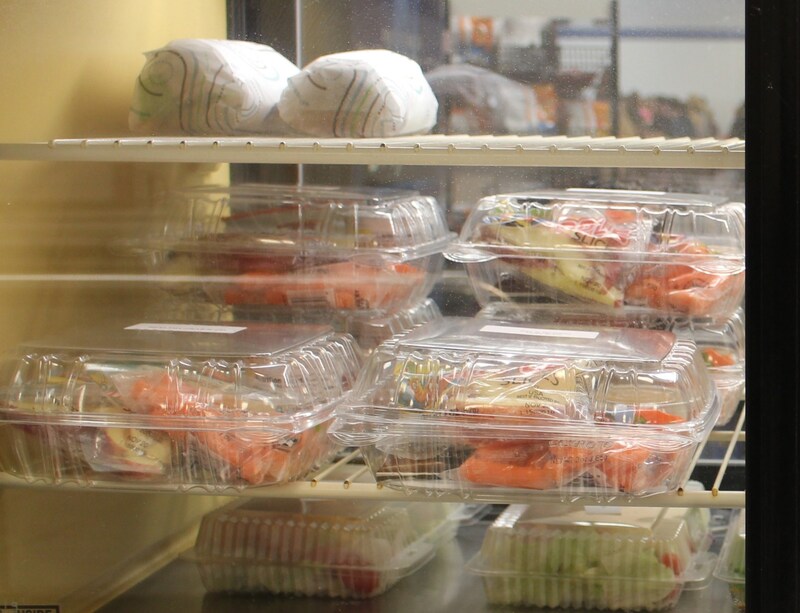 Healthy Grab and Go - $2.20 - String Cheese, yogurt, graham crackers with fresh fruit and veggies. Hummus & Pita Chips - $2.20 - Roasted red pepper hummus is served with Stacey’s Pita Chips and fresh fruit and veggies. Strawberry Parfait Grab and Go - $2.20 - Vanilla yogurt topped w/strawberries and crunchy granola, muffin, cheese stick and seasonal fruit. Dog House Classic Wrap - Ham, turkey & bacon, American cheese, leaf lettuce & tomato topped w/ mayonnaise on a tortilla wrap. Canal Street Wrap - Choice of Crispy chicken or Oven Roasted Turkey, leaf lettuce, tomato & American cheese topped with peppercorn ranch dressing on a tortilla wrap. Hot Wing Wrap - Boneless spicy chicken, crisp lettuce, American cheese, peppercorn ranch dressing on a tortilla wrap. Grandville Public Schools © 2019. All Rights Reserved.